We had a one hour meeting scheduled for today at 1:00; the trip from Columbia West in West Hempfield took just over an hour and a half. The return trip after the meeting took the same amount of time. During the to and from trip, we saw exactly three snow plows. 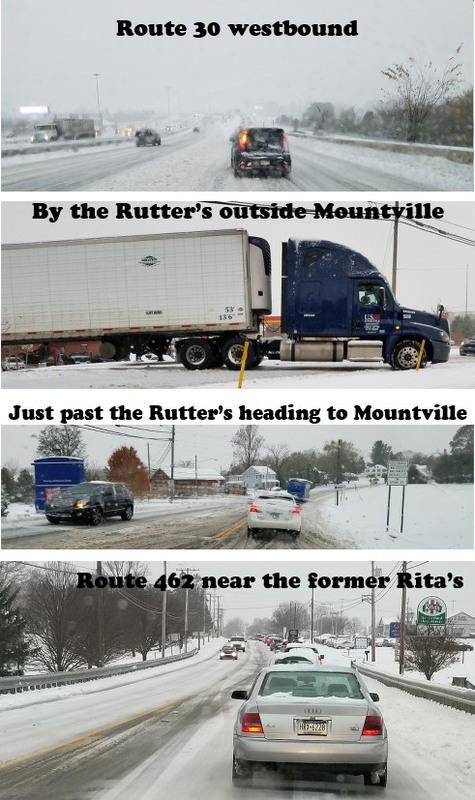 Two abreast on Route 30 and another in Mountville. We think the trucks and slurry / salt trucks should have been out earlier and more frequently. We think they pretty much blew this one. 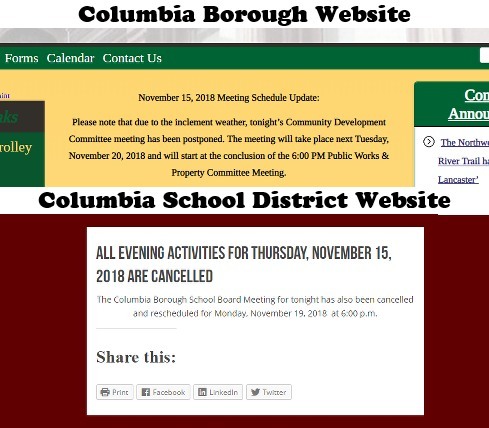 Here in Columbia, the borough and school district put notices on their websites. Next Do this now … make your EXTRA ORDINARY GIVE contribution.